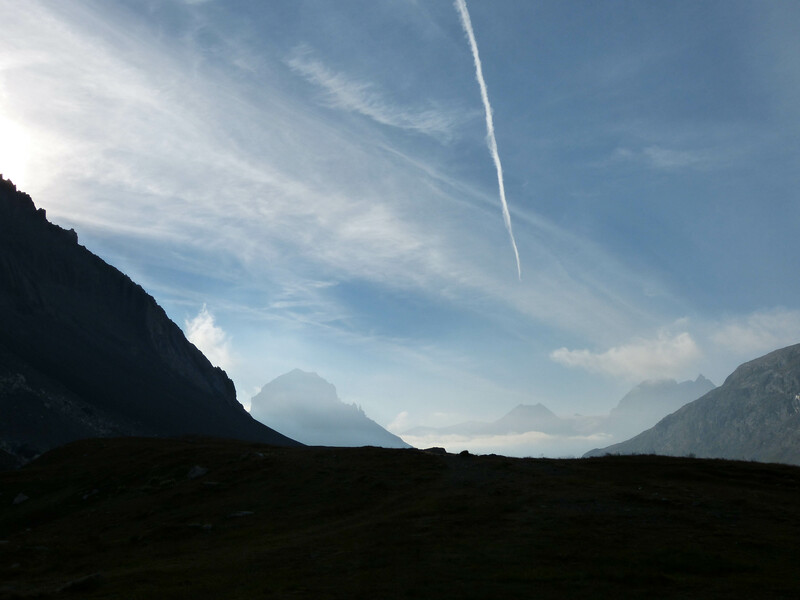 Photo taken my second morning hiking Vanoise National Park, France. It was another spectacular cloudless day. We couldn’t have asked for better weather. The sun sparkled, the mountains loomed and the air was as fresh and pure as can be. I felt more alive than I had in months, for I was in a spectacular setting, working my body and I was free. Excerpt from upcoming post on thirdeyemom coming soon. This post is in response to Jakesprinter’s Sunday Post: Morning. To see more entries, click here. Words fail me, Nicole. The world at your feet. Thanks Johanna! Yes it was truly spectacular. I sure love to be in the mountains! That looks amazing Nicole…what a sight. Yes indeed! My dream morning…..being in the mountains! I can smell the air! Yes it was stunning! If you like to hike, I highly recommend Vanoise National Park in France. It was amazing! Awesome Shot! Congrats, hopefully someday I will hike the alps!